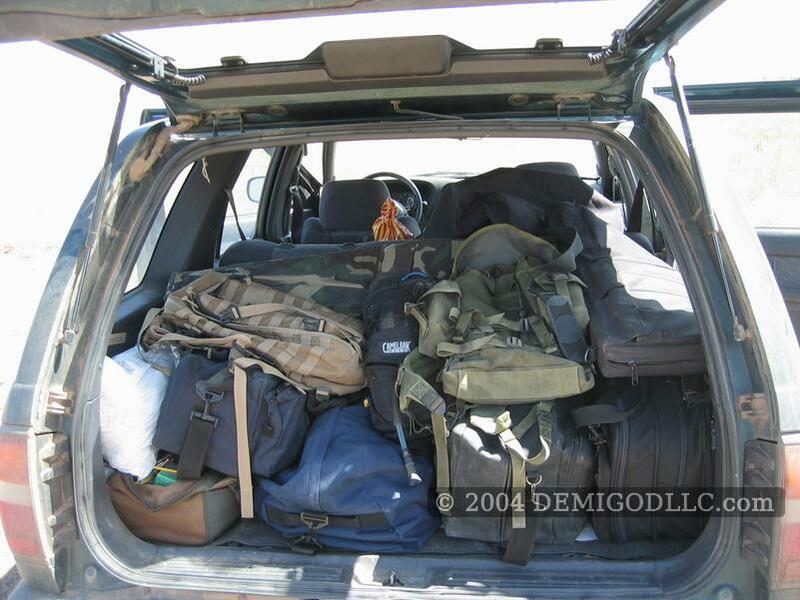 Zak's 2004 ITRC Report - Multi-Gun, Rifle & Shotgun Match Announcements - Brian Enos's Forums... Maku mozo! 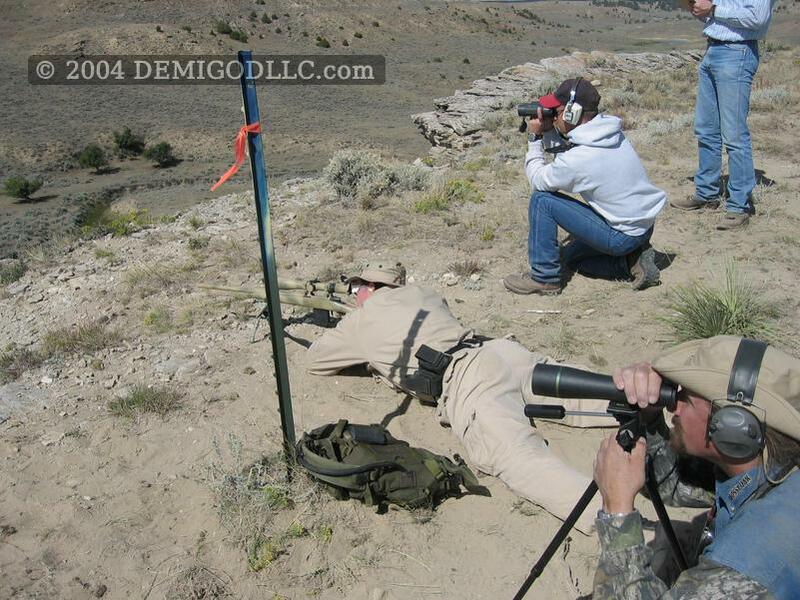 The D&L Sports International Tactical Rifleman Championships (ITRC) is a "3 Gun" match unlike conventional 3Gun matches. This match has field courses from 1 to 2.5 miles long which must be finished in times from 45 minutes to two hours by teams of two: a bolt rifle shooter, and a carbine shooter. 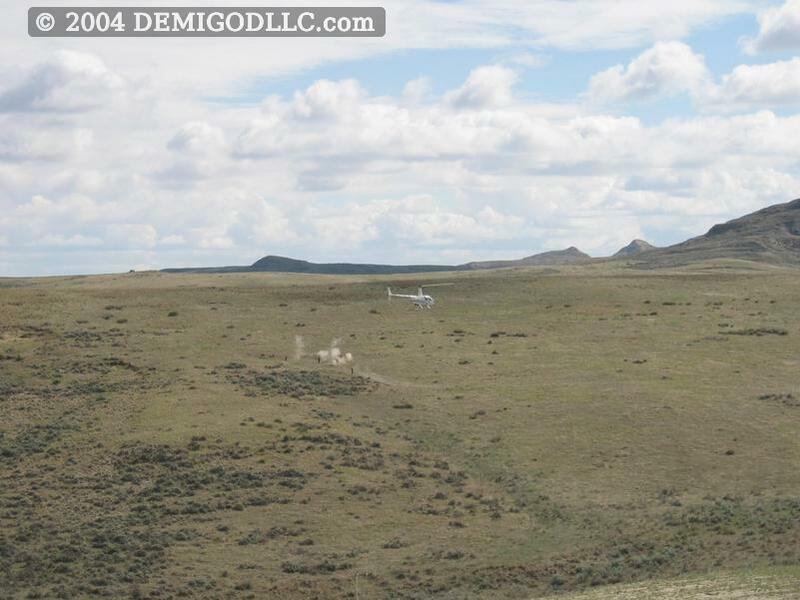 Dave Lauck's Small Arms Training Academy (SATA) is located about an hour north of Gillette, WY, basically in the middle of nowhere. 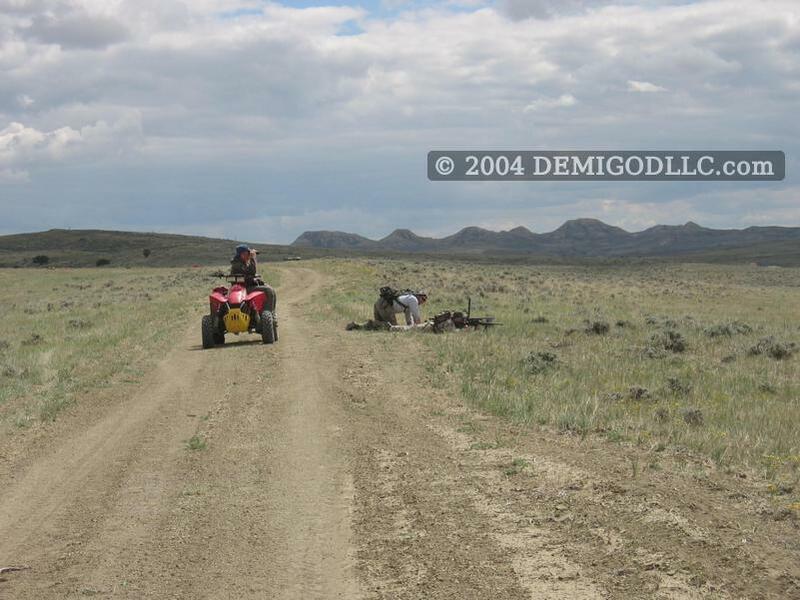 Match stages were located there and on two ranches within an hour's distance. This was the first year I went to the ITRC, having heard tales from previous years from a friend of mine. 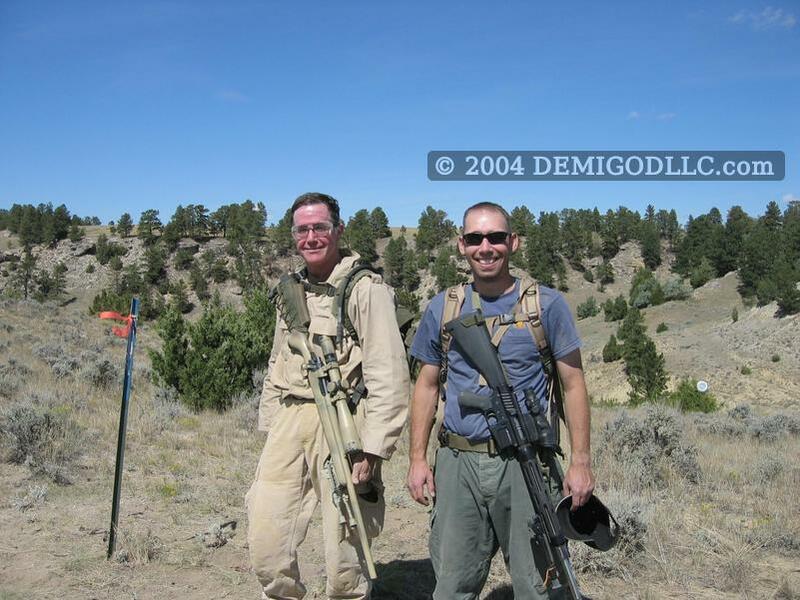 Glenn Frank (my bolt gun partner) and I trained together 5-6 times in the Pawnee Nat'l Grasslands in preparation. Upon arrival at the sight-in range on Thursday morning, it was clear that things were running differently. Sight-in went like this: Everyone who wanted to confirm zeros put up targets and started on the 100yard line. Guns had to have their bolts open and on the line. They couldn't be in cases; you couldn't walk them from your car to the line, etc. 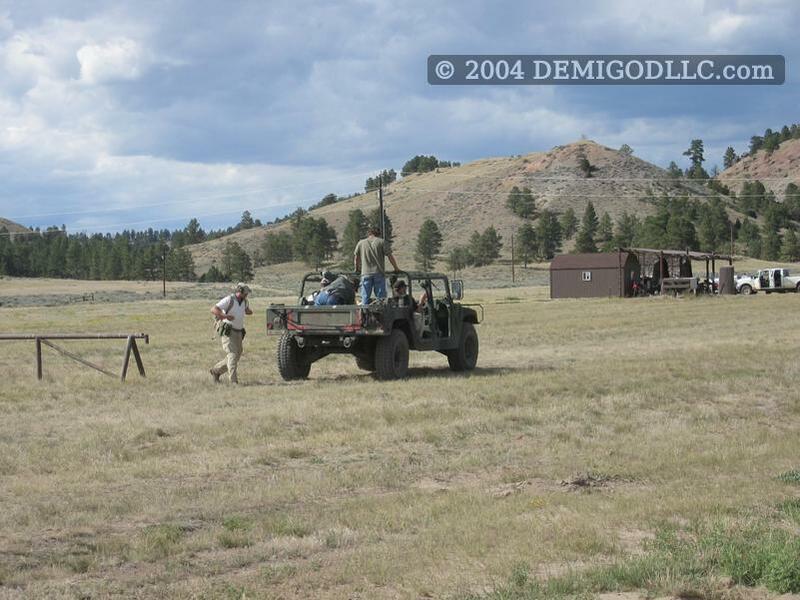 When everyone had finished shooting at the 100y line, we all "got on the line", turned the guns 180 degrees uprange, and people went downrange. When they were back, we all "got on the line", walked them to the 200y line, and turned around, and repeated the drill. It was bizarre coming from a IPSC/3Gun background. There were 13-15 teams per group, 3 groups. There were 3 field stages. Group 1 started on stage 2, 2 on 2, 3 on 3, etc. One stage was shot per day. Instead of boring you with lot more of background, here are the stages. This stage was split into two parts. The first was the helicopter stage which was scored separately from the main match; the winning team got the two JP rifles. The two team members boarded the heli, got strapped in, were handed one JP AR15 and one 30 round magazine each. The pilot took two passes over an array of poppers during which you did your best to hit them. 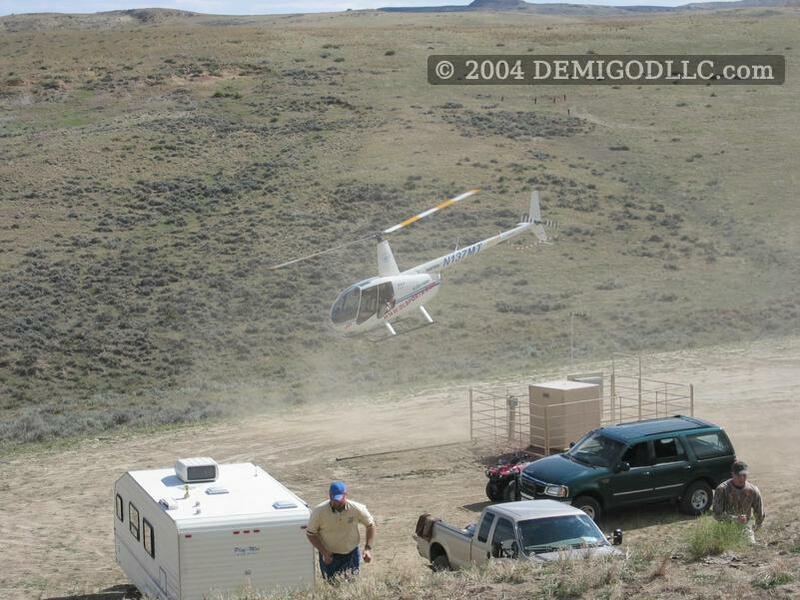 Flying in the heli was not disorienting, but hitting the poppers was difficult for me. I think we hit 3 or 4. 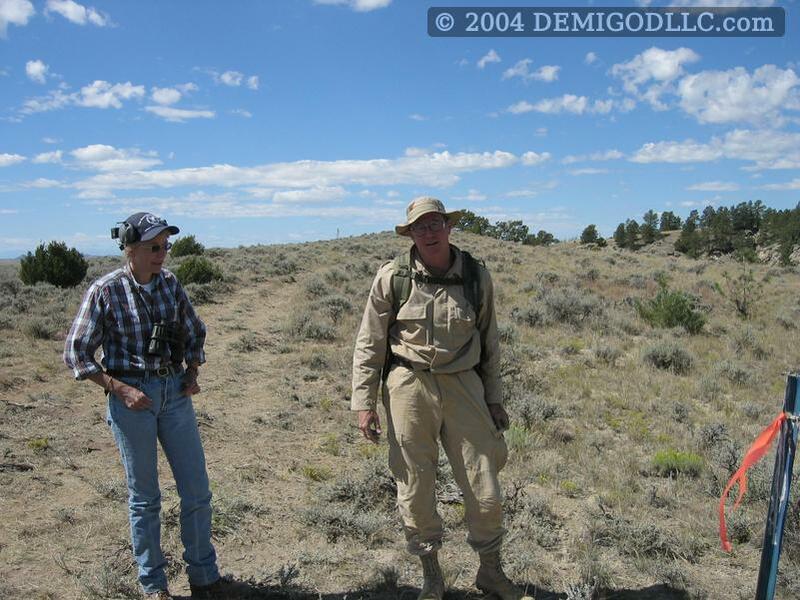 The second part of stage 3 was the field course. Distance 1.75 miles over a dirt road, time limit 90 minutes. 58 carbine hits possible, 44 rifle hit possible. Scoring was +40 per rifle hit, -20 per rifle miss; +10 per carbine hit, -20 per carbine miss. Fail to engage with two shots -40. Each minute finished early before 90 minutes is +1. Two scoring hits possible per target. The carbine targets on this course went out from about 150 to about 350 yards. 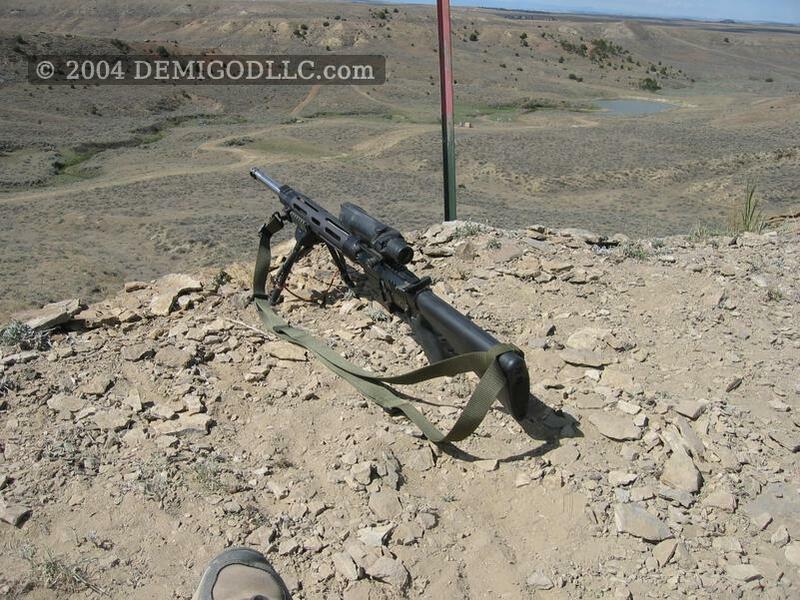 Rifle targets were from about 250-300 to around 600 yards. There was a bonus plate for +250 for a hit and -250 for a miss. The first two positions on this stage were carbine only, and I wailed on them getting all my hits. We did decent on this course with a score of 871, finished with about 10 minutes left. Stage 2 only maybe 1 mile long, with a time limit of 45 minutes. Minimum recommended round count was 568 carbine and 532 pistol. On this stage there were no FTE penalties and each hit was worth 1 point, with the exception of the drive-by poppers (25 each), the one clay pigeon (25), and the stop plate (25). Four hits were scored per target on this course of fire, which means that all steel and paper could be hit 4 times for a total of 4 points per target. This course started out on the obstacle course. 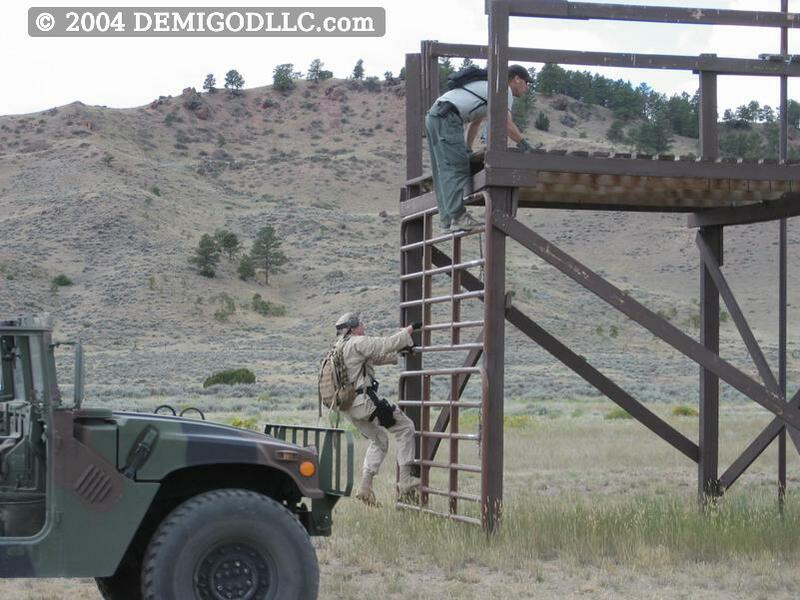 Failure to successfully negotiate an obstacle was -50 points per person per obstacle. After the obstacle course was finished, both team members jumped in a HMMV (supplied and driven by the NE ARNG) and zoomed to the first shooting position, which was about 5 plates at 100 yards or so. 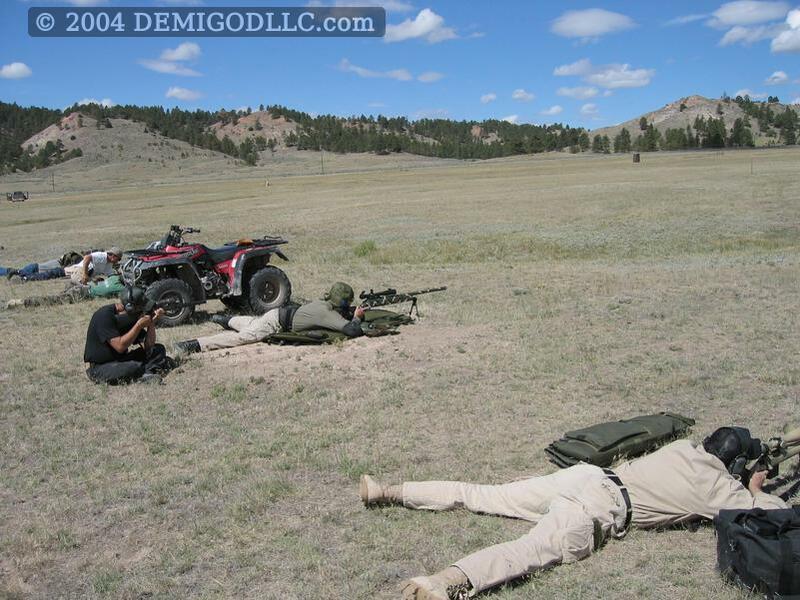 20 rounds later, you ran 50 yards to the next position where 8 or so plates were available at 250-500 yards. After you made those 32 hits, you moved forward 30 yards and re-engaged. Once that position was done, you jumped back in the HMMV, and got ready for the drive-by. Upon signal from the on-HMMV RO, you loaded your rifle and the HMMV driver slowed to about 5 mph. At this speed, you engaged a total of 10 poppers at 25-40 yards away as many times as you could. Most people could get off 2 or 3 30-round magazines. Each hit here was worth 25 points. The HMMV drove maybe 100 more yards and dumped you at the first of four platforms from which 22 targets could be engaged for a total of 88 points possible (88 shots). The second position was a shooting tower maybe 30' high to be climbed. The third position was a "sniper's hide" and the fourth was a trap platform. Once done at the trap platform, you could engage one flying trap pigeon with one shot from a supplied shotgun. 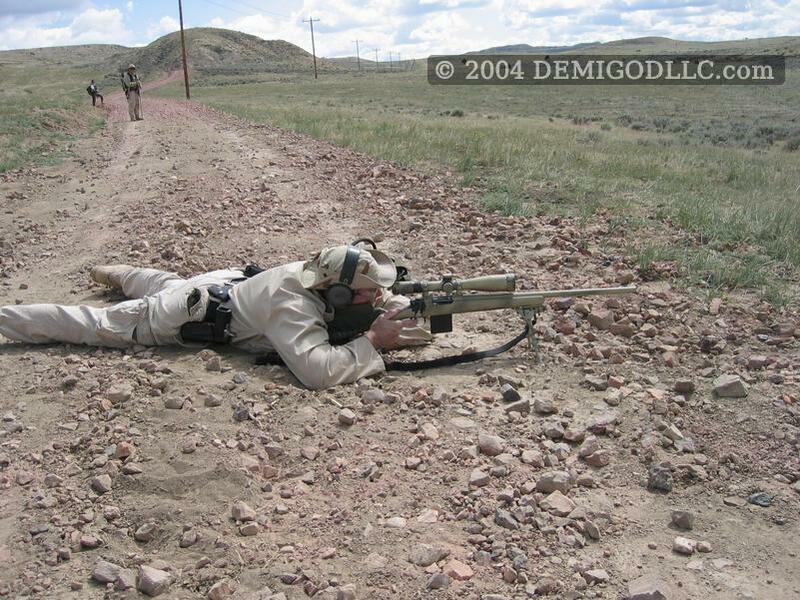 Then you ran down the hill engaged possible 20 more rifle shots from a shooting box with ports. At this point the carbine shooter was finished; he ditched his carbine, and the other team member ran into the shoot-house with his pistol. The shoot-house required around 500 rounds. This meant that unless you had 25 loaded mags, the carbine shooter had to follow behind and load the dropped mags. Knowing that many teams had not finished this stage the first day, we made our strategy: as the carbine guy, I would engage as many targets as I could as fast as I could; we could bypass the tower to save time; if we hit 20 minutes left and I was not yet done, I would stop immediately and Glenn would start the shoot-house. For the first part of the stage, Glenn humped all of our ammo in a pack - my 21 AR15 magazines and the 500 rounds of loose 45ACP I could carry to reload for him. 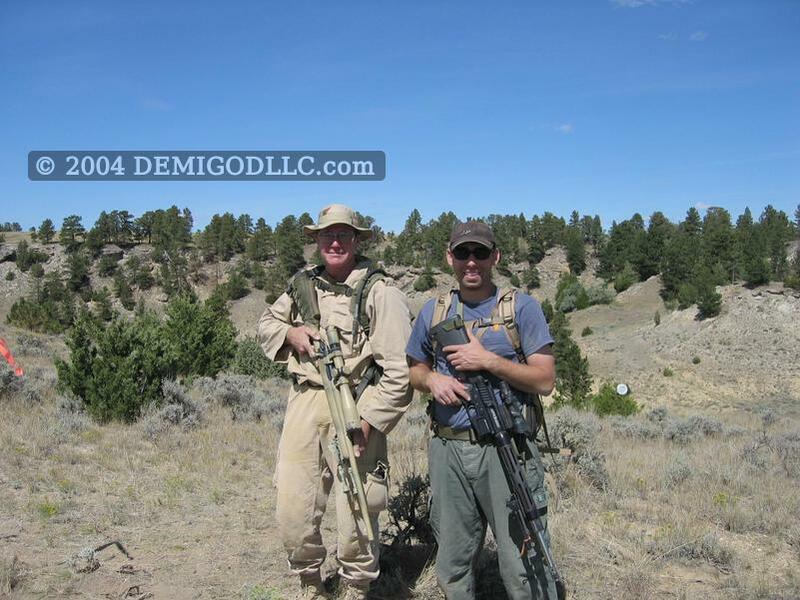 Once the carbine portion was done, we dumped the pack, I took the bag of loose 45 and strapped it around my waist, and sort-of hobbled around the shoothouse behind him and the RO. We entered the shoot-house with 21 minutes left, and Glenn hit the stop plate with about 2:30 to spare. This stage was very hard on gear. Many pistols malfunctioned or broke, and several AR15s broke. One Glock lost its Trijicon front sight and the rear sight drifted side to side. A couple people with aluminum gas blocks held on with set screws had them expand under the extreme heat and slip forward rendering their rifle single-shot. It was common to see stainless barrels come back from this stage an ugly shade of blue/purple. Knowing that I had another precision stage to shoot the next day, and not wanting to ruin my CTR barrel any more than I had to, I used water from my camelback to cool the gas block and barrel four times during this stage: once after the drive-by and then once after each platform. The ROs were amused, but it seemed to work. I haven't yet tested my barrel to see how bad its accuracy was damaged. We racked up 1026 points on this stage. This course was 2.5 miles cross-country with a time limit of 2 hours. Minimum required round count: 10 pistol, 50 carbine, 87 rifle. This stage had a "boat" position from which the rifle shooter shot from a small boat that the other team member was rowing in a stock pond. Most people bypassed this position for a 160 point FTE penalty because it had the potential to be a time sink, and this stage was tight to finish. 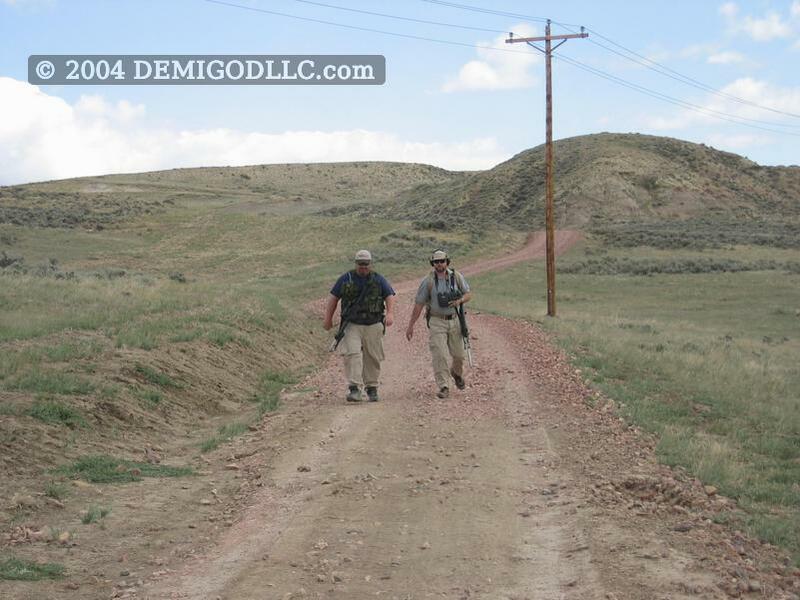 There was a road that connected the shooting positions, but it is unlikely a team could jog the road path and still finish the course. We ran cross-country the whole way. 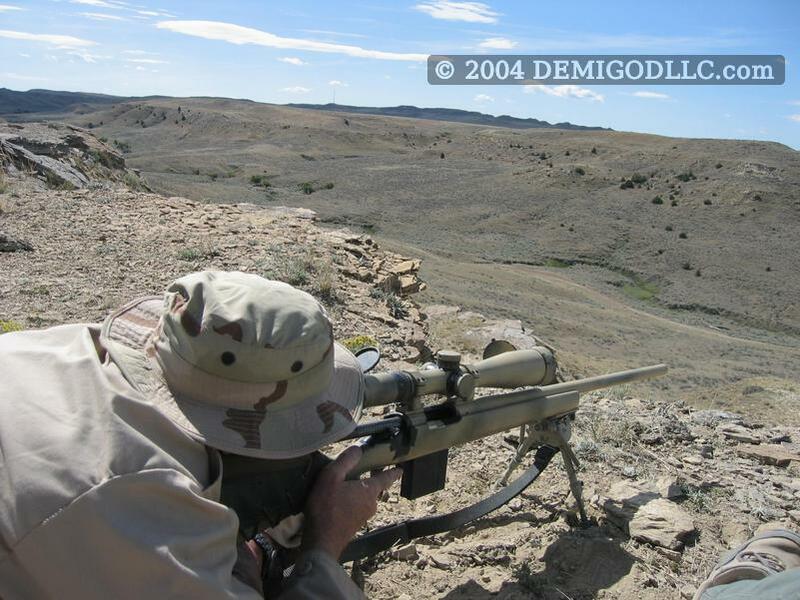 The carbine and rifle shots on this course were challenging for us mainly due to strong wind not readily perceptible across the canyons. hit the bonus plate for +250 points. 47 teams started the match and 38 finished. The high score was 5466 and the low was -1073. Scott and Mark won the match. Colorado 3Gun teams came in 1st, 10th, 11th, and 13th (I think). Glenn and I were #13. For our first time at this match, I was extremely pleased with our results. I'd say 2/3 of the teams out there were military or LE. I shot my JP CTR-02, 1:8", 20", with a TA11 ACOG. Sling was a CQBSolutions 3-point sling. For my 15-odd pistol shots, I used my single-stack 1911 in a Milt holster. I used Spec Ops brand AR15 mag holders and a Kifaru pack. 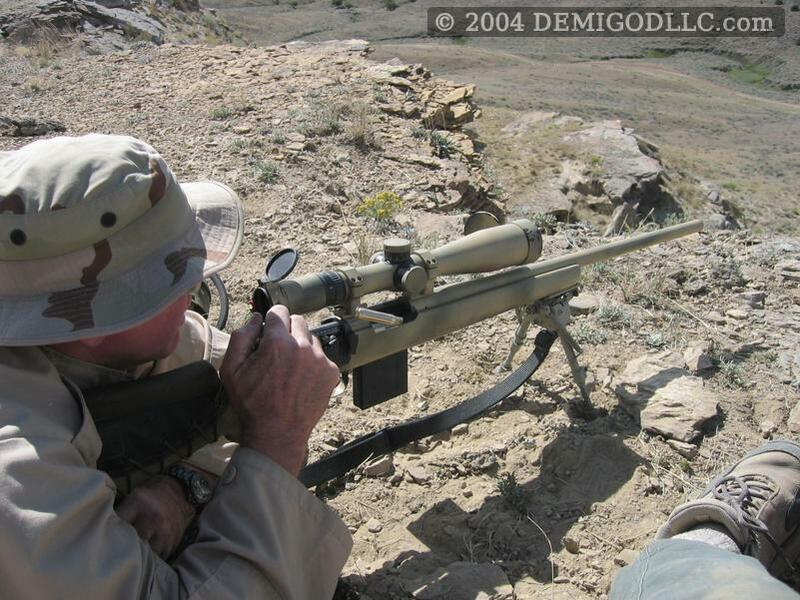 Glenn shot a Rem PSS in 308 with a S&B 4.5-15X mildot/mil-knob scope and a Kimber poly double-stack .45. Anyone get my picture with the two chicks? 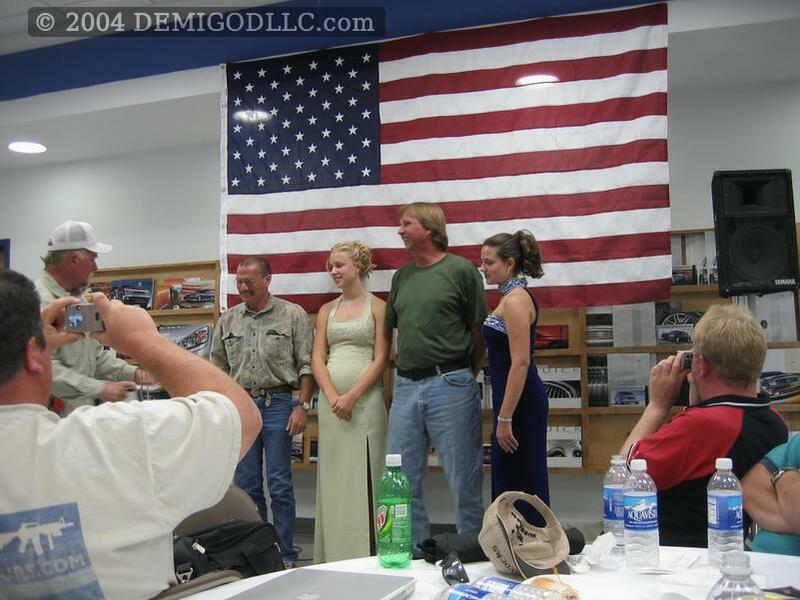 That is funny, beauty queens at a shooting match, never seen that before. Nice work Zak, Jimmy, Eric, Alan and Mike! Thanks for the report Zak looks like quite a match. Got to meet Zak and his partner briefly after the awards yesterday, great job reporting on the match. The pictures give you some idea of the terrain. Wish someone would post a picture of the hill you needed to climb to get from station 5 to 6 on the Hoblit course. It was a killer. Got to meet two NJ shooters (Keith and Phil) who shoot with Nik Habicht regularly, super nice guys who ran into trouble when their scope shot loose at the beginning of one stage. Got to watch "Sam the Nailer" run his AR bolt action after the gas block fell off, and still rack up a score better than 90% of the competitors on the modified Gulley course. Awesome match, there is nothing out there like it. I was too busy trucking through the terrain to take pictures! 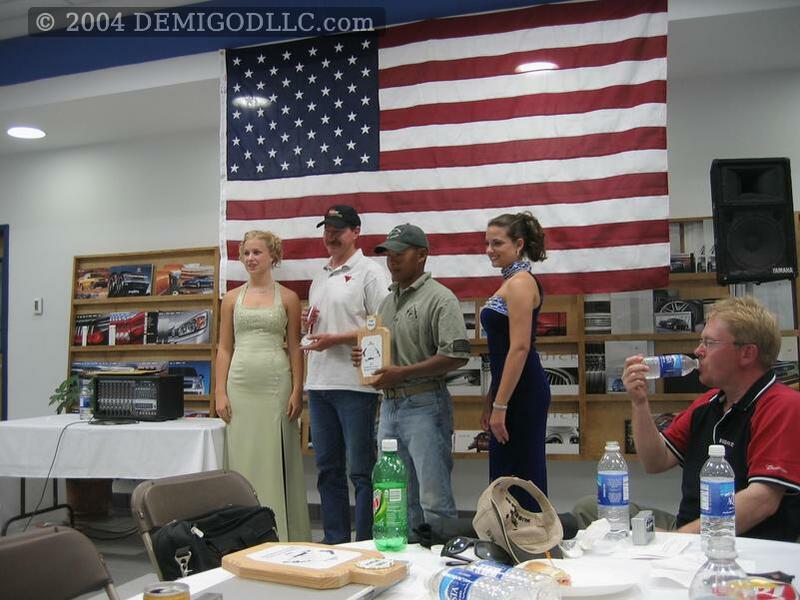 Here is your pic at the awards ceremony. 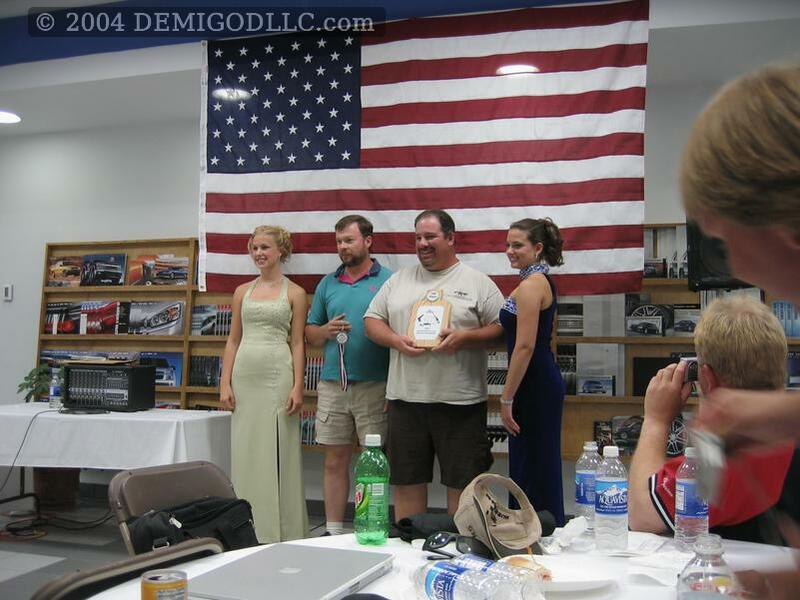 Dave called me up Saturday morning and asked if I knew any model type young ladies who could assist in award presentation. It just so happens that one of our X-ray techs has a daughter who competes in pageants. I had my wife make the phone call asking the young lady to help out (and bring a friend), as I couldn't figure out how to do it and not feel like a lech. I thought the gals did a great job. Certainly better to look at than the shooters! I refer you back to the above photos as proof. "Sam the Nailer"...... John had this embroidered on my team hat.......and simply "Doc" on his. Then he tells me "Don't pressure me!" Team Random Dispersion is taking today off. Then tomorrow, back to training. Only 361 days until ITRC 2005. Wow! Dave Lauck really knows how to do a prize table! All of you guys won a pair of pretty girls ... and they all look the same, so no one goes away unhappy! I think that any team that finished such a match should be very proud of themselves just for surviving! Since you guys obviously also shot well, you should be doubly proud! Here's a picture of some carnage! I started stage 2 with 24 loaded 30 round mags, there were only 6 full mags left when I finished! The barrel on the bottom is from my carbine after the match. 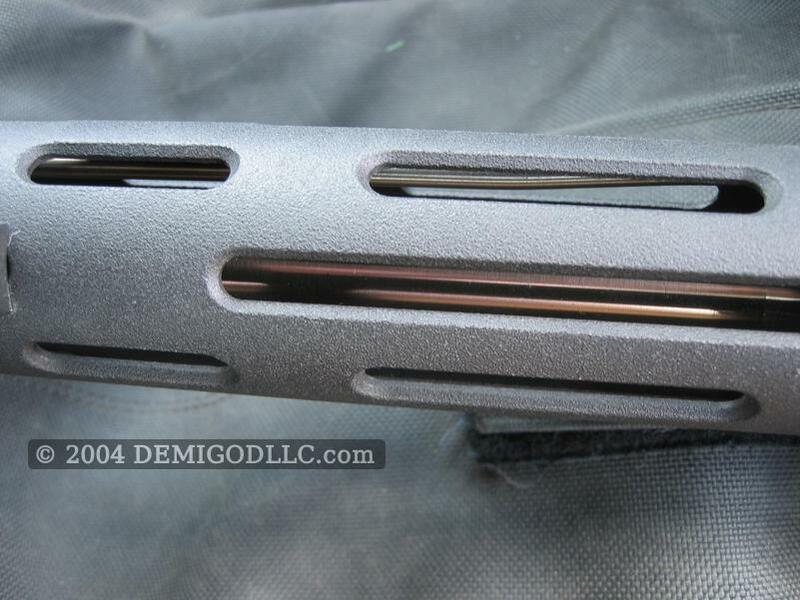 The top barrel is a normal stainless bull for comparison. I kinda like the new color. There are melted bits of plastic (carpet) on the side from the Bianchi barricade and some pretty severe erosion in both chambers of the compensator. It still shot good on Sunday! I'll put it on paper tomorrow before I clean it. I had 21 mags loaded with 28 each, and I had about 24 rounds left at the end of the carbine section. To be fair, Sam was pressuring me when I said that! He is halfway to the last station which had a high value bonus target, we have maybe 4 minutes to go. I have a slurry of sweat and Wyoming dust I am wiping out of my eyes, literally blind temporarily, when Sam hollers, "John, come on, we have to run!" I bend over to pick up the rifle and holler back, "Quit pressuring me!" Got a pretty good laugh from the ROs. We hit the bonus. Great job on the report. It was fun to read. How well did your J.P. rifle hold up? Do it again, Dad, do it again !!! Thanks for the report. So am I understanding it right the Bambi course wasn't shot this year, and the gully course didn't include the uphill portion - just the main shoot house / rifle areas? Then the third course was the "palm tree" course (last year the PR targets were 8" plates on rubber belting)? My JP rifle ran near-perfectly. 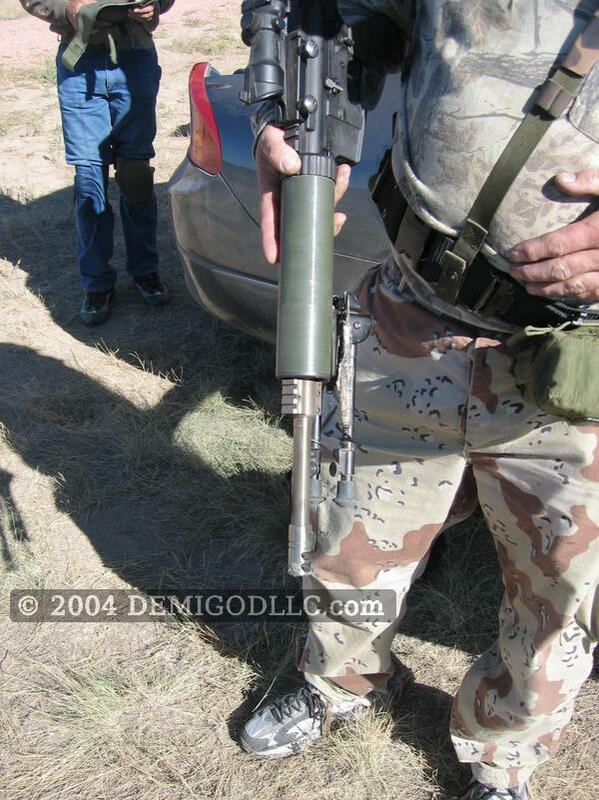 After it got full of sand/dust the first day, the LW carrier wouldn't reliably strip the first round the from the mag. I switched to the SS carrier before the hoser stage and it ran 100% from then on. 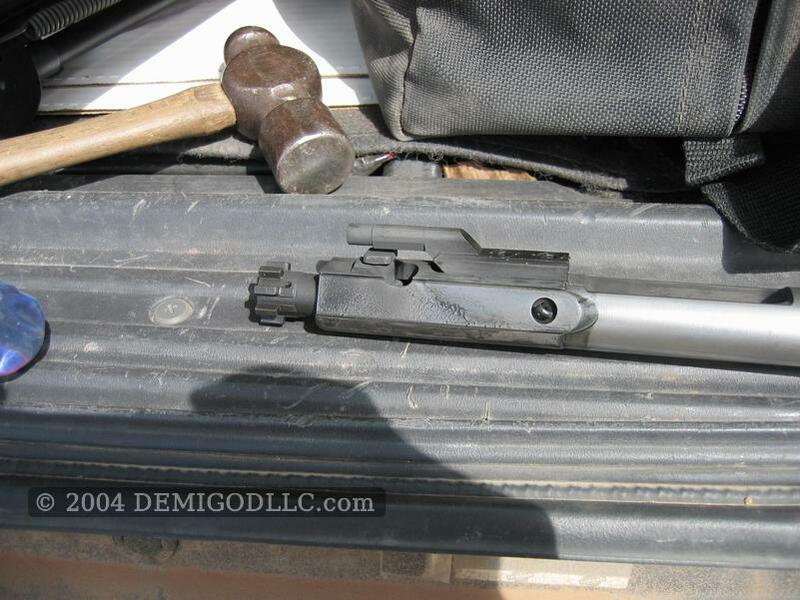 Eric's rifle had some serious problems with the heat allowing the gas block to move. I doused my gas block and barrel with water from my camelback four times in that 560 rounds in 23 minutes to help prevent that from happening. Maybe someone who shot it last year can tell you which courses of fire were removed. I think the Arvada and Hoblit Ranch courses were new. Twnty one and 24 mags? Why did you guys carry so few?? We shot the Palm Tree course (Arvada) course again, but some of the stations were modified. The backside of the course (the road coming back into the parking area) was not shot, as the helicopter event was operating in that vicinity. Instead there were extra stations further down the road, past where we cut across country last year. The Arvada targets were primarily the 8" plates on the rubber strapping, but there were a few US Poppers thrown in. The bonus was a US popper at 550, which is not too daunting until you have missed several of the plates at that range secondary to the twitchy wind out there. Just far enough to "F*** with your psyche" as one competitor was overheard to say. The Bambi course was out. 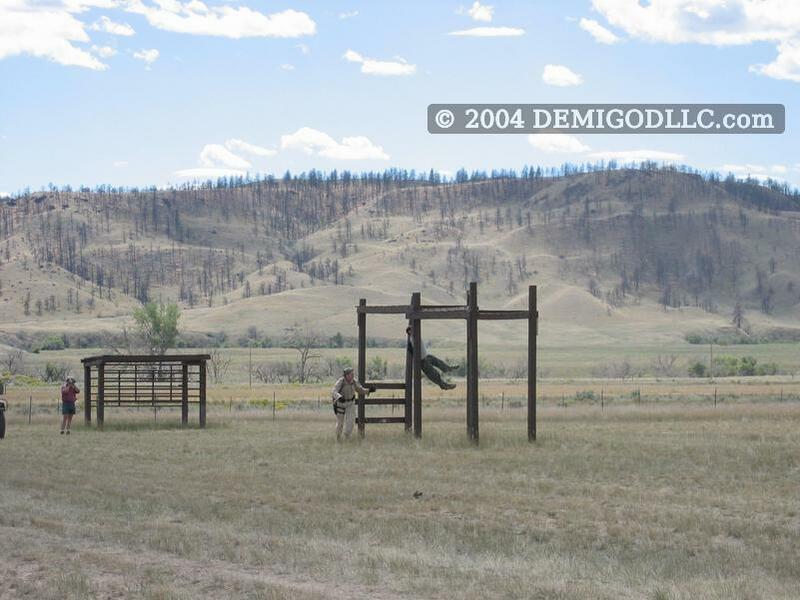 The gulley course substitute consisted of the obstacle course, a bunch of targets shot from the Scramble position (and thereabouts). The Humvee targets were strewn to the left and behind the Quonset hut/cabin, then the firing positions overlooking the shoothouse. The "gulley" portion of the gulley course including plywood hill (Mount MF) were not shot this year. I don't know if you have shot Hoblit before, but to me it was just as demanding as the two mile longer Bambi course. Hope to see you there next year. What was the winning combo of equipment? What sort of optics are being used? Is Horus dominating that match like the MOR and RM3G side match? Shot my dirty CTR this afternoon. It was printing 2.5-3" left and 0.8" high. That explains why I needed so much windage to make hits Sunday on Hoblit. I was shooting groups in the 1.4 MOA range. When I first got this gun, I was shooting half inch at 200 yards. Best I've done with the ACOG is around 1. 142 matchking and H1000 powder. Carbine; Old Olympic lower, Rock River 16" stainless A3 upper, JP trigger & comp. Leupold 3x9 MR/T M1. 55 grain ballistic tip and Benchmark powder. 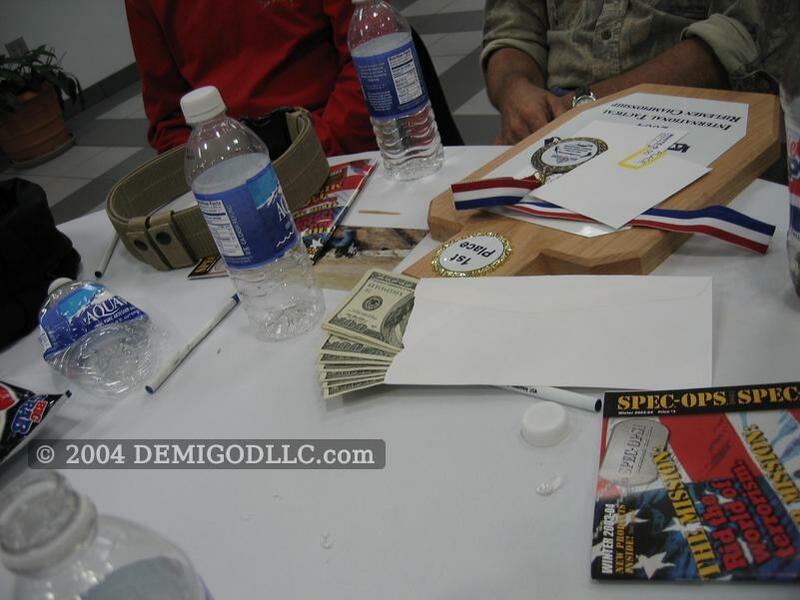 John Dustin polled the equipment at the shooter's meeting for an article in Precision Shooting or The Accurate Rifle, IIRC there was one team shooting Horus. The vast majority were using Leupolds. The first place team just crushed the competition, winning by something like a 1,000 point margin. Those guys rock!